This support article illustrates how a host can schedule a Secure Webinar. Webinars must be scheduled in 30-minute increments, and with at least 30 minutes before or after any webinars already scheduled. Webinars can run over a reserved time slot, so long as no other webinar is scheduled to start in that time. 2. Fill out the spreadsheet with your participants' information. 3. 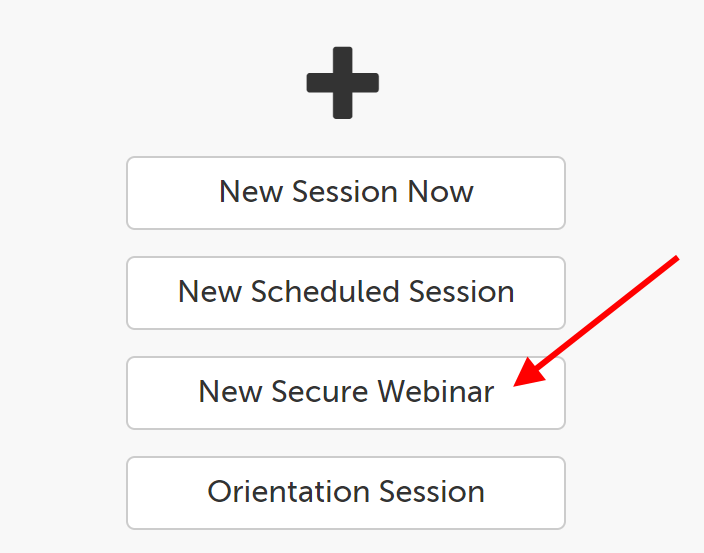 On your SecureVideo dashboard, scroll down to the bottom of the page and click "New Secure Webinar". 4. Click and drag the date/times that you would like to schedule your webinar for. Slots are reserved in 30-minute increments. 5. When you release your click, a pop up message will appear to confirm the date and time you selected. Click "Confirm" to confirm, to be taken to a page for you to add your participants. 6. In your participants spreadsheet, copy all cells with a name and email address. 7. Paste the content of those cells into the box at the bottom of the new page. 8. Your paste should automatically save, and send out the invitations. This article was last reviewed by our Support team on June 21, 2017.